Advent Calendar Day 22: Under the Mistletoe! 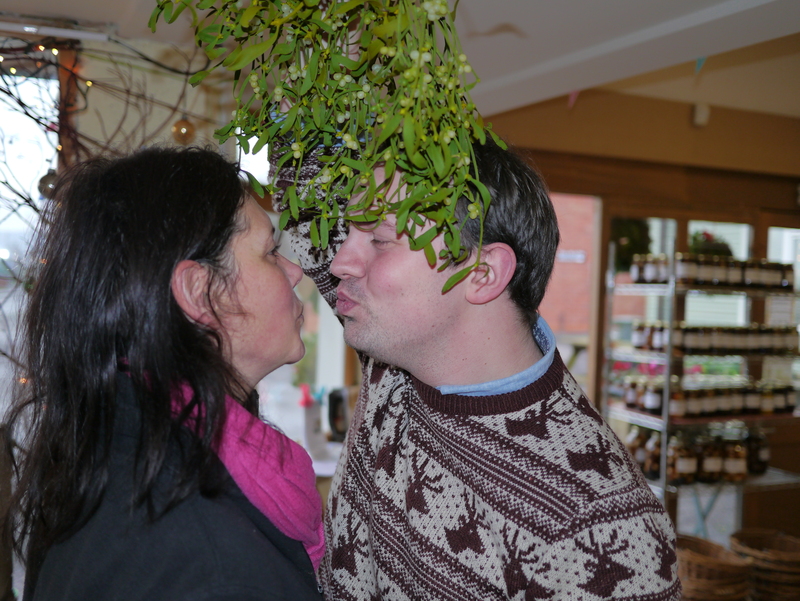 We are all feeling very loved up and festive in the Farm Shop…espcially Greg and Ness! You can now pick up your mistletoe from the Farm Shop and start getting those Christmas Kisses! 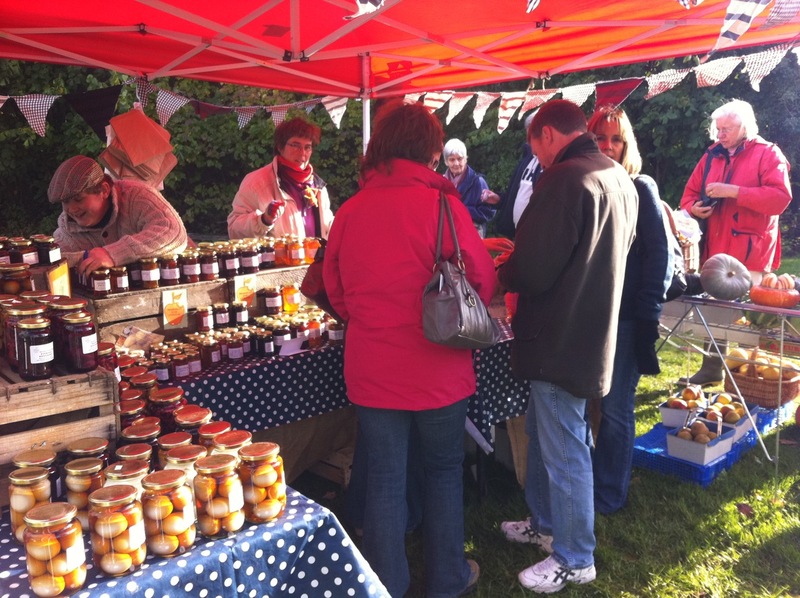 This weekend we had a stall at the Annual Snowshill Manor apple weekend. The weather was really kind to us and together with a group of other local producers we had a great little market for visitors to taste and buy a range of produce. New for October Toms Tastings!! 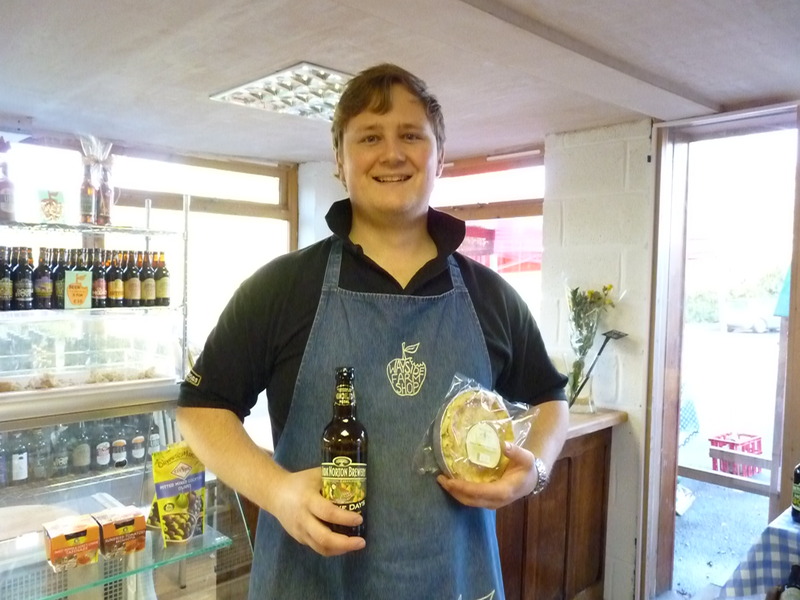 we have started doing themed tastings in the shop last week we did cider and cheese , This Saturday we did Ale and Pies. Our suppliers have been most generous with samples to help us provide a good variety of local produce to try. Our first tasting on Saturday went really well enjoyed by all of our customers that came through the door, and this Saturdays Cotswold Pies and local beers has also been a great success. Tom and all of the staff had a chance to engage with the customers who, judging by the produce they bought, enjoyed the experience. We are hoping to make this a regular event and have a halloween tasting with pumpkin soup and sausages at the end of the month. Today Angela Tidmarsh our local tourism officer visited our shop with a coach full of tourist Guides , press and local dignitaries. We put on a secection of our Blossom Trail and Asparagus Festival specials, Which included apple juices cider, scones, plum shortcake, asparagus Jam. It was great to see everyone and lets hope for a good season with the Blossom Trail and Asparagus Festival.